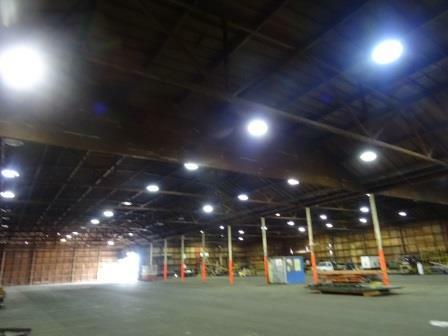 OurEvolution engineers have just completed work at the Humboldt Bay Harbor District’s Terminal 2 site, formerly the LP and Freshwater Tissue Pulp Mill. 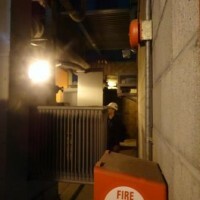 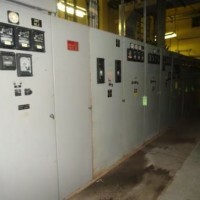 OE was hired to evaluate the existing power distribution system and loads to identify potential energy savings measures. 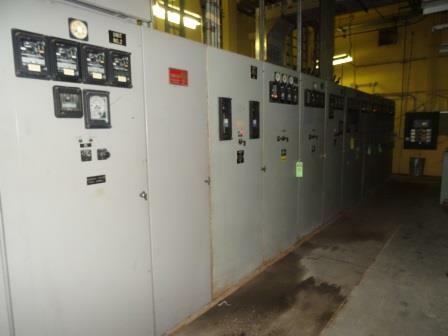 OE was able to account for all of the site energy from 60 kV switchyard to 12 kV transformers into the 480V, 3-phase, distribution system, complete a distribution diagram for existing conditions and identify over 35% energy cost savings from simple, low-cost measures including load shedding, demand management and distribution modifications. 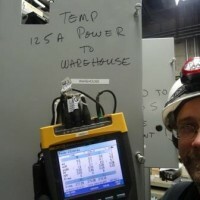 Let us know if you think your industrial facility is using too much energy! 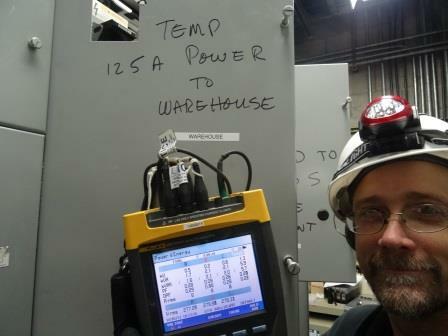 OE engineer, Scott Willits, measures 3-phase power. 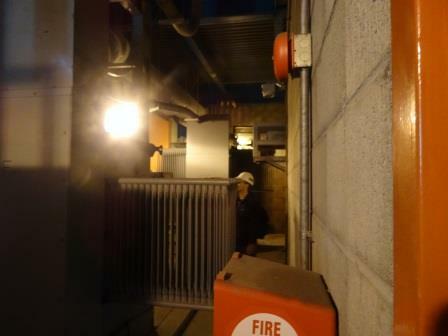 OE engineer, Andy Sorter, examines 12 kV transformer.